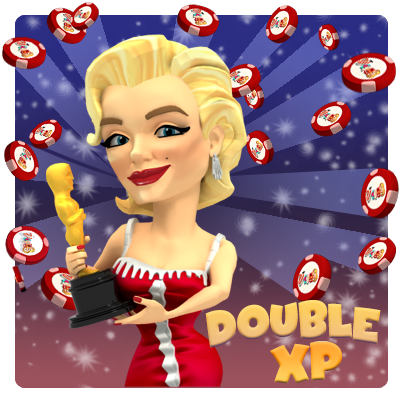 In honor of the Academy Awards, the folks at MyVegas have decided (for 48 hours only) to reward “Studio City” Slot players with DOUBLE XP POINTS. So, what does that really mean ? XP POINTS (Experience Points) are the points that are accumulated in the indicator at the middle top of the game field, that indicates your progress, and the number of points required to reach the next Level. This weekend, (for example) for every 300 Chips bet, (when you are playing the Studio City game) you would jump 600 XP Points… for every 1500 Chips, jump 3000 XP Points, and so on. Normally, the slot games work on a 1:1 ratio, and the BlackJack game a little less than that. For 48 hours, you get a 2:1 XP Point benefit, when playing the Studio City game !!! 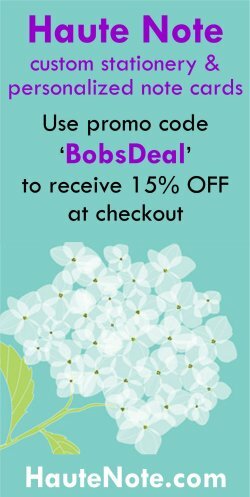 So, particularly if you are stuck in a LEVEL where there are “big gaps” between level up bonuses (40’s and 100’s, I’m looking at you) this is a great opportunity to try to get some extended play, and take advantage of this limited time offer !!! Hollywood honors it’s best and brightest this weekend, and we honor ours. Load up on chips and earn DOUBLE XP whenever you play STUDIO CITY – this Saturday & Sunday only.